Perspex Light Diffusers by Industrial Plastic Solutions. Here at Industrial Plastic Solutions we are able to provide you with many types of Perspex Light Diffusers. We off a cut to size service while you wait using quality Perspex & Acrylic Light Diffuser Materials. The most common type of Perspex Light Diffusers that you see in offices all around Australia are made from Acrylic and are called Prismatic. Prismatic Light Diffusers allow great light transmission and UV Resistance & are suitable for fluorescent light diffusion. They come in different patterns such as prism or square and are commonly known as K12 or K15. • Y8 Refractor Mircoprism which is available in 3.4 mm thickness and sheet size of 1210 x 610 mm. • Y10 Miniprism Refractor comes in 2.5 mm thickness and sheet size of 1210 x 605 mm. • Y12 Prismatic Panel comes in 2.8 mm thickness and sheet size of 1220 x 60mm as well as 1270 x 1270 mm. 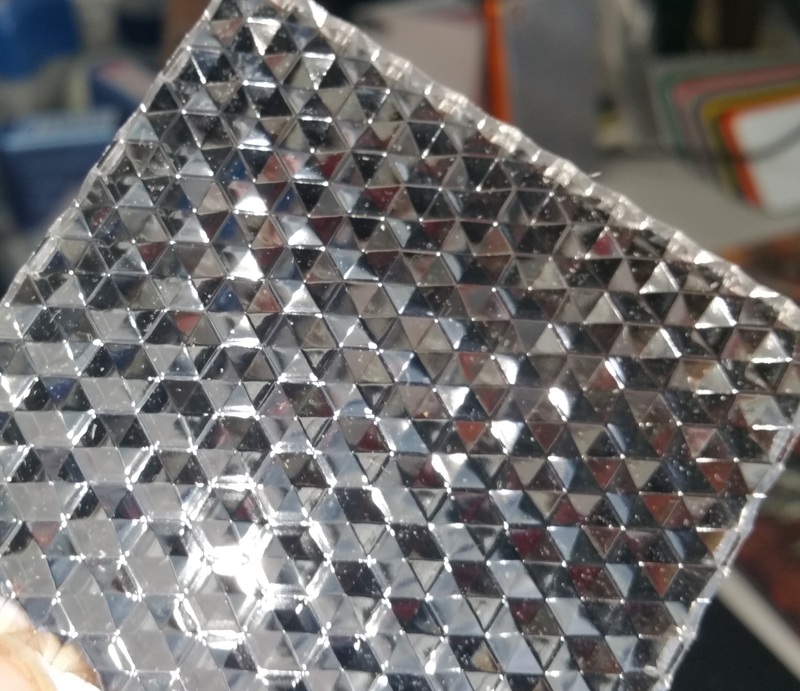 • Y12 Prismatic Panel come in 3.0 mm thickness and sheet size of 1270 x 1270 mm as well as 2440 x 1220 mm, or 2540 x 1270 mm. Please note there are many more types of Prismatic Light Diffusers available upon request so feel free to call us for a free quote and we can help you with selection. Another type of Light Diffuser material is known as Skylight Opal Acrylic. This type of Light Diffuser material is semi translucent and available in 010 or 422 type and offers another type of look that is classy as well as blocking out those harmful UV rays. Please feel free to call us for a free quote from our experienced Plastic Professionals.